It is estimated that over 90% of enterprise organisations now use cloud technologies both directly and indirectly in some form. The use of public cloud computing environments continues to increase and expand significantly. Gartner estimates that the worldwide public cloud service market in 2017 was valued at over 46 billion. Examine this trend more closely however and it is clear that enterprise awareness and approaches towards public cloud migration are rapidly evolving. In many cases, the boardroom discussion has moved on beyond strategic awareness and understanding of the business case to the formulation of cloud-first strategies as the default enterprise strategy position. 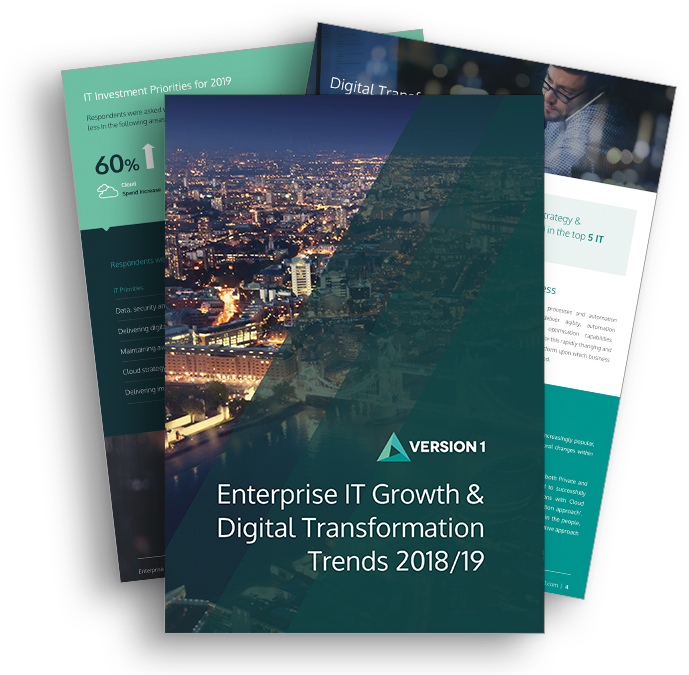 The focus has now shifted therefore beyond the “what” to the determination of the “how” and the determination of the best practice and the most efficient way to move enterprise workloads to cloud environments. For new solutions and business channel initiatives, this path can often be more defined and predictable. However, many of the systems at the heart of enterprise organisations are still heavily based on mission-critical legacy applications – posing a challenge for many decision makers due to the depth of the considerations required and potential implications for the organisation. How should I plan a legacy application migration to the cloud? What are the key business risks of moving legacy applications to the cloud and how do I mitigate them? What are the measures of success in moving applications to the cloud? How do I ensure my legacy applications are secure in the cloud? How do I ensure GDPR and regulatory compliance in the cloud? How do I enable future digital transformation of legacy applications in the cloud? What is the best way to move databases to cloud environments? How do I ensure that licencing and support for legacy apps is still compliant in the cloud? How do I plan and implement availability, resilience and backup in cloud environments? Migrating these legacy solutions requires in-depth understanding of these complex applications, their disparate data sources and architecture as well as a pro-active and considered approach to risk mitigation and wider business change. We hosted a webinar in February 2018, entitled ‘Migrating Legacy Applications to Public Cloud’ where we considered the implications of migrating enterprise applications to the public cloud. A high-level understanding of the likely licencing, support, security and integration challenges that will arise and how these can be fully identified and addressed. Suitable high-level strategies for migration scoping, planning and risk mitigation to help you successfully plan and migrate legacy applications to target public cloud environments with a view to enable technology transfer, increased business value and organisational change to be achieved. Definitions of cloud platform architectures that are suitably future-proofed, offer reduced technical debt and go beyond simple “lift and shift” transitions. Specific insight and experience regarding solution licencing, enterprise data migration and application re-configuration in a cloud context, as well as the approaches needed to effectively manage these aspects in an on-going manner once migrated.